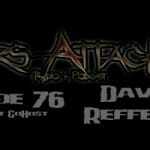 During the latest episode of the Mars Attacks Podcast we interview Mark Hunter of Chimaira and Dave Reffett. 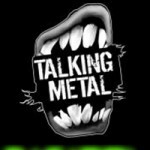 Mark discusses the band’s new album The Age Of Hell, some of the band’s line up changes, releasing the new album for free in the UK, and what it’s like to have Chimaira associated to shows like Mythbusters, The Farmclub and Deathklok. He also fields a bunch of listener submitted questions. There isn’t enough I can do to thank Dave Reffett for his help, he has assisted us in obtaining quite a few guests. As a result it is my pleasure to include him in the episode. He discusses his album The Call Of The Flames, what it was like to feature people like George Lynch, Chris Poland, Glen Drover and Mike Mangini, among others that appear on the album, his gear, and briefly touches on future projects he’ll be working on. He didn’t want to mention a whole lot about the latter, but I’m sure it will be cool none the less. 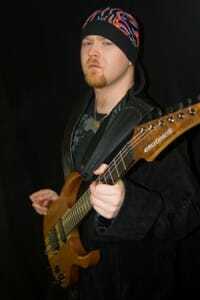 Pictures courtesy of Chimaira and Dave Reffett.